Do you love Pizza as much as we do?? Come join us at the Dojo the first Monday of every month, for FREE PIZZA!! ???????????????????? Along with free pizza ??? ?, there will be a $5 pinball tournament. The race will start one the machine closest to the door going clockwise, in our case (as of 11/19) it will be Class of 1812. Initial order will be chosen at random. All games will be played as a 1 player game. The first player in line will step up to the machine and play 1 whole game. They will then step back a few steps away from the machine, their score will then be the lowest score for that machine. The next player in line will step up and play until one of the following happens; the player plays their full and and doesn’t surpass the lowest score or the player passes the lowest score. If the player passes the lowest score, they will then stop and move on to the next machine. After all players have played a machine, the person standing behind the machine (person with the lowest score) will be eliminated from the tournament. Games will keep proceeding clockwise until there is one player left, which will be crowned the winner! *SPECIAL RULE. 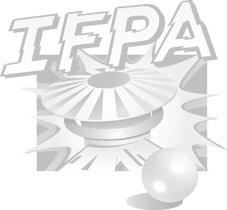 If the player with the lowest score on the first game is ranked lower than 1000 in the IFPA rankings, they will be granted an instant immunity idol for the first game only. Immunity idol. An immunity idol is a item that a player may use at the end of any round (game) to free themselves from being eliminated. For December will reduce down to one immunity idol*. The immunity idol will be awarded to the player with the highest score on a TD selected machine. Players will play their immunity idol machine as soon as they sign up as opposed to when the tournament starts (to save time). The player that makes it to the finish line, wins. Payouts will be determined by the number of players. (Rounding adjustments will be made to avoid payouts not rounded to the nearest dollar)"
Pizza ??? ?will be ordered at 7:30pm and will be free to all Dojo paid memebers in attendance. The cost to get into the dojo is it’s usual, $10 door fee. PM Nick Jaquay via FB or email steelcitypinball@gmail.com with questions for more info.